When the financial system fails we all suffer the consequences. Whether you’re a household looking to get a mortgage or a business requiring a loan to invest in new machinery, you depend on the financial system functioning effectively. And when things go wrong it can have a real impact on the entire economy – and that means people’s jobs and incomes are at stake, writes Peter Andrews, the Bank of England’s Agent for Greater London. So the headline messages from the Financial Stability Report published recently by the Bank of England matter to everyone. The good news is that the UK financial system has stood up well to the tests it has faced so far this year during several periods of turbulence for global financial markets. The system has dampened rather than amplified that volatility in markets, so households and businesses have been able to focus on those financial decisions that matter to them. That resilience has been hard won. 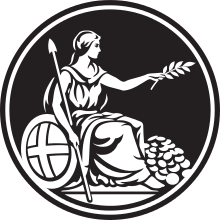 It’s the work of many hands, both at the Bank of England and across the financial system. But we can’t be complacent and our financial system still faces a number of risks. It is the job of the Bank’s Financial Policy Committee (FPC) to worry about these things and outline them twice a year in the Financial Stability Report. Each year at around this time the Bank also carries out a so-called ‘stress test’ to check how banks might cope with a severe shock.So what is on the mind of the committee at the moment? And what did the results of that stress test tell us? The FPC believes that the most severe risks are from overseas, including high levels of debt in China, along with a range of economic, political and banking risks in the euro area. As the UK is one of the most open economies in the world, it is quite dependent on foreign investors’ appetite for assets such as commercial property and the willingness of overseas companies to invest in businesses they own here. If that demand drops away, then it can have implications for growth and inflation in the UK. There are domestic risks to financial stability too. For instance, although the economy has performed quite strongly since the EU referendum in June, most of that growth has been sustained by consumer spending. And some of that spending has been funded by people drawing down their savings and borrowing more, which is understandable since credit is readily available and cheap. However, as a result of the sharp fall in the value of the pound, inflation is picking up and that will squeeze the spending power of households over the next year or two. The committee believes this combination of higher borrowing and lower real incomes reinforces existing risks from high and rising household debt levels. To guard against such risks, the FPC has decided to keep in place rules on mortgage lending that were introduced in June 2014. These should ensure that lending standards don’t slip from responsible to reckless as they have during past periods of consumption-led growth. The resilience of the system during the past year in part reflects the consistent build-up of capital resources by banks since the global financial crisis. As a result the UK banking system is well placed to provide credit to households and businesses during periods of severe stress. That conclusion is underscored by the results of the 2016 stress test, which included simultaneous UK and global recessions. In this hypothetical situation the unemployment rate rises by 4.5 percentage points, UK house prices fall by over 30% and commercial property prices fall by more than 40%. So a pretty grim scenario and one, we should emphasise, the Bank doesn’t think will actually happen! Although the test revealed some capital inadequacies for three individual banks based on their capital levels at the end of 2015, these banks each now have in place the necessary plans to build their resilience further. Overall, the FPC concluded that our banking system has enough capital to withstand such a scenario whilst continuing to function effectively by lending to households and businesses. Looking forward, it will take time to clarify the UK’s new relationships with the EU and the rest of the world following the EU referendum. 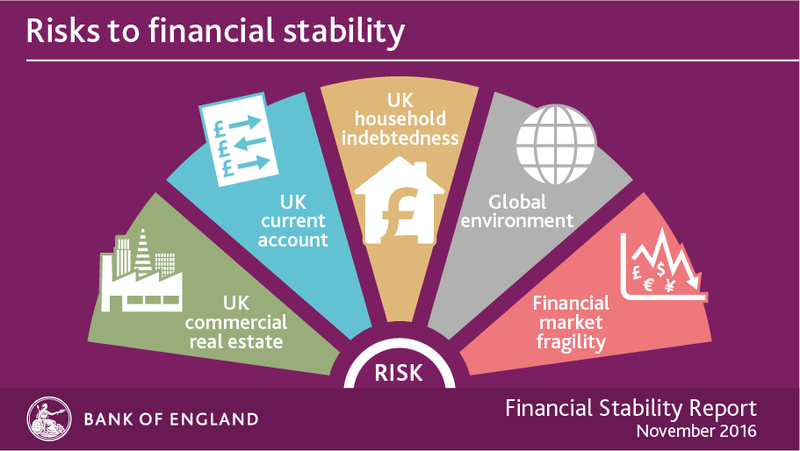 And the orderliness of the UK’s adjustment to these changes will influence the risks to financial stability. 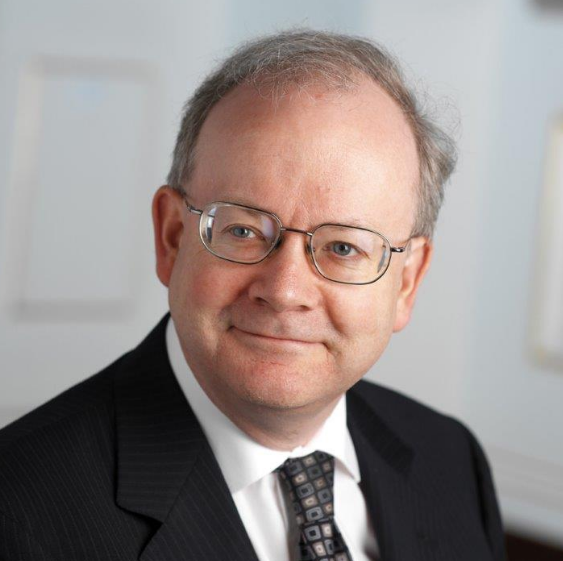 During this time and beyond the FPC will continue to promote the resilience of the UK financial system to at least the current high standards. It is on this basis that households and businesses here in London can move forward with confidence that they can access the financial services they need to seize the opportunities ahead.